10 food styling tips to decorate your plate and win big! Love to cook? 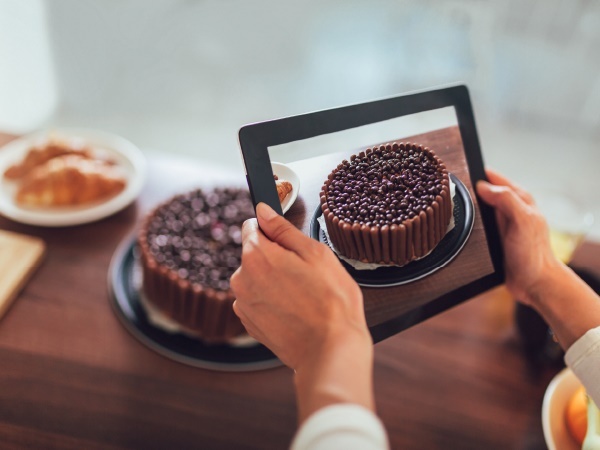 Food styling has become a big part of food preparation – they say we eat with our eyes, after all – so you might want to beef up on your skills. Share your love for food with these styling tips. Do your research and gather picture references of how you would like your shoot to look. You can use these as inspiration, but don’t copy them completely because that’s plagiarism. Create a mood board of what you want your shoot to look like, for example what dishes will you make or what colour scheme will you use. Also take into consideration the target market of the publication you’re shooting for, what the rest of the publication looks like and what style and colour scheme will work best in this publication. In summer, bright, vibrant and cooler colours like green, light blue and white work best. In winter, use darker, warmed colours like red, orange and dark purple and blue. For a lighter shoot, use more direct lighting. If you want a moody look, go with more shadows and indirect light. Remember, the light will behave differently when shooting outside versus in a studio, where you have more control. Different dishes look better at various angles. Dishes like pizzas, free-form pies and platters of food look better when photographed directly from above because it shows more detail. Layered foods like cakes, burgers or sandwiches display better when shot from a side angle, as it shows off more depth and the different layers. Use props with a contracting colour to your food. This will make the colour of your food pop. But don’t use too many different shades. This will take away the focus from the food, which should be the star of the show. Props such as plates, cutlery and cloths add different textures to your picture. Shop around for props with interesting detail. Don’t mix your food from the start. Fry meat and veggies separately and mix just before the shoot. Keep any sauce apart and pour over sparingly otherwise you’ll lose texture by covering the food with the solid-looking sauce. Rather undercook than overcook the food. For example, meat must still be more to the pink side and veggies crisp otherwise it will lose colour and shape and look mushy and unappetising. As with most things in life, the more practise you get, the better you’ll become. Food styling isn’t something you’ll master overnight, and you won’t get it right the first time, or even the 10th time. But the more you do it, the easier it will get. Once you’ve got the food styling down, you might want to put your skills to the test. Enter the DRUM Food Ambassador competition – there are awesome prizes up for grabs, including a contract worth R100 000. Click here for more information on how to achieve your foodie goals and win big!